How ‘snowflakes’ form blizzards – Boston, March for Our Lives. Time for Britain’s Two Major Parties to Split Over Brexit? Like other cities, Boston has many fewer independent bookshops than it once did. But there is one still standing among the boutiques of Newbury St, the smartest shopping street in town. Trident Booksellers has been there since 1984 and it seems to be still going strong. Scotland v USA: A Tale of Two Tax Reforms – and Most Read Blogs of 2017. At the end of 2017, my two home countries of the USA and Scotland are going in different directions in terms of tax reform. While the Scottish government is introducing more progressive taxes, the US is in the process of passing a controversial bill which cuts tax bigly for the rich. Paul Wiessmeyer, who I wrote about this week on my “Boson Blog” contacted me about this family of refugees who are hoping to be reunited Monday. On DECEMBER 18, a Turkish Airlines flight 1525 that originated in the Sudan, will land in Dusseldorf, Germany at 13.05 PM. Among the passengers will be an Eritrean mother and her four young sons, recently granted permission to leave a Sudanese refugee camp to be reunited with their father Asmerom in Germany. This will be the first time they see each other in four years. A middle-aged man stands at a street corner waiting for his customers, wrapped up against the December chill. Master violinmaker Paul Wiessmeyer, along with several others, has been summarily evicted from a Harry-Potter-ish building in Boston’s music quarter. The place, 295 Huntington Ave was easy to miss – you could walk past the unprepossessing entrance without guessing what was inside up the narrow staircase. Built as a hotel a century or so ago, it became a cultural ecosystem about 60 years ago. There was a symbiosis in its corridors where music students, performers and media types rubbed shoulders. This is a think piece about atonomous cars. it is written as a dialogue between three characters. Jim is visiting old friends Roy and Elspeth in their Boston apartment after a conference. Roy is a neoist, enthusiastic about new develoments. Elspeth is a Luddite. Jim is an environmentalist who loves trains. 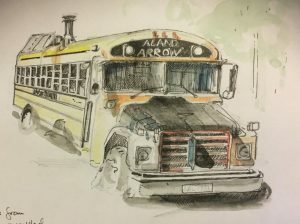 After Jim had admired the view – two windowed walls overlooking the nexus of highways leading commuters out of the city, they sat at the breakfast bar and shared a bottle of wine, chewing over old times, while Roy and Elspeth produced dinner, chopping vegetables for a salad, frying fish. After dinner, the argument began. Moving to the sitting area of the tiny living room area of the Webster’s apartment, set like an eyrie above the city’s nexus of highways, they surveyed the jammed outward-bound traffic across three lines of the interstate. 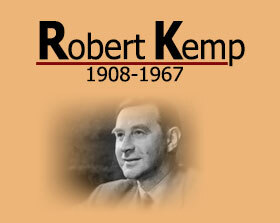 This month marks 50 years since the death of the playwright Robert Kemp. To commemorate this, I have created a memoir which is downloadable here as a PDF, readable on Kindle or any other device. This is a work in progress – a corrected and finalised version will appear soon. Comments and contributions welcome via Facebook or Twitter @jackiekemp. Scots musical artist Mairi Campbell is in Boston to perform in WGBH Celtic Sojourn at the Cutler Majestic and touring. On Dec 2 at the Shea Theater in Turner Falls she will perform ‘Pulse’, a musical drawn from her own life which she performed throughout the 2017 Edinburgh Fringe, gaining some five star reviews. Not many musicians could hope to fill a theatre with a one-woman experimental musical about their own lives. But Mairi Campbell’s ‘Pulse’ in which she acts, sings, plays the fiddle and dances the story of her own musical coming of age has been touring Scotland for the last two years, showcasing the best of modern Scots culture at Celtic Connections in 2016 and at the Edinburgh Fringe in 2017. Mairi is an old friend of mine and below is a piece I wrote about the show at its inception in 2015. ‘Spirit of 47’ – A Member of the Edinburgh International Festival Audience for 70 Years Looks Back. The theme of the 70th Edinburgh International Festival this year is remembering the ‘Spirit of 47’. 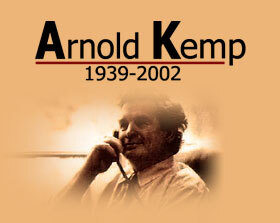 Among the audience is at least one faithful festival-goer who was there at the start – my uncle David Kemp. Here are some of David’s reminiscences of his many Festivals, stretching back to those post-war years when the colour and beauty of art returned to a traumatised world. A Snow Bunting looks across a mountain landscape with little sign of human habitation. This photograph was taken by my husband Rob Bruce on our Highland holiday this year, on land owned by a reclusive Malaysian businessman.